The #2 Remington rolling block is a smaller scale civilian model sporting rifle using a receiver patterned after the 1871 Army pistol. 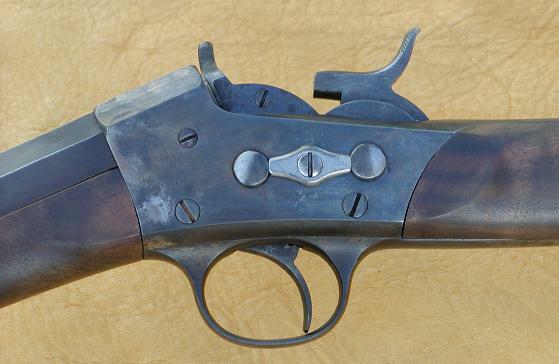 A number of the parts are interchangeable with the 1871, 1891 and 1902 pistols as well as the #7 target rifle. This rifle was produced in a wide variety of rim fire and center fire cartridges. The rim fire models with bar extractors are the most numerous. We have illustrations of both bar extractor and rotary extractor models. When ordering the above parts please order by the part description. 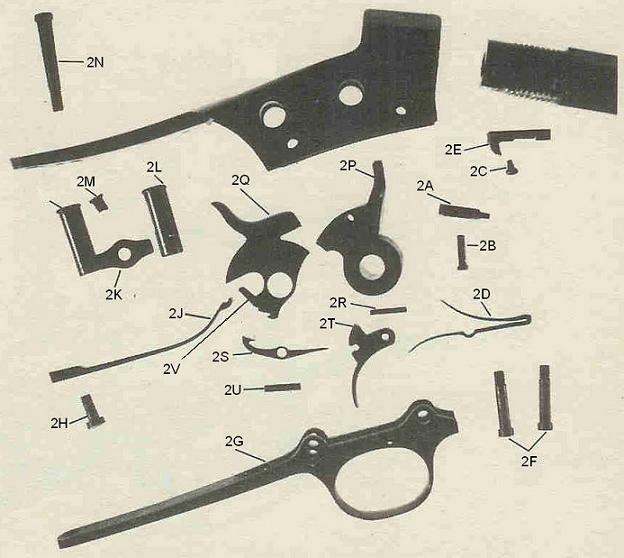 The part numbers are for illustration only and do not reflect any inventory control number. Shipping for the parts above will be charged as $4 for the first part and an additional .50 for each additional part, except where noted above.